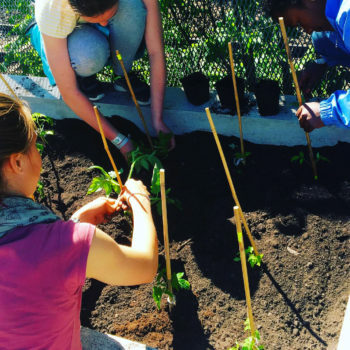 During 2016 Art Lab Gnesta developed an interest in the ways that the lore of cultivation might be democratically distributed throughout society, and made readily available to communities. This seems an urgent issue in times when state funded global corporations privatize and manipulate crops, and lobby for criminalization of civilian seed cultivation. The same year Art Lab Gnesta met Omar Sadek, a gardener and chemist from the region of Damascus in Syria. With Omar, Art Lab Gnesta found a mutual interest in farming that has since become an integral part of Art Lab Gnesta’s activities. Our first conversations revolved around food production, the short Swedish summer, and the war-torn, uncultivated farmlands in Syria. Our conversation took place next to a growing container where a small and bushy tomato plant was propped to a supporting rod. Together with Omar, Art Lab Gnesta has now during the last year been growing tomatoes from Saqba, Omar’s hometown. 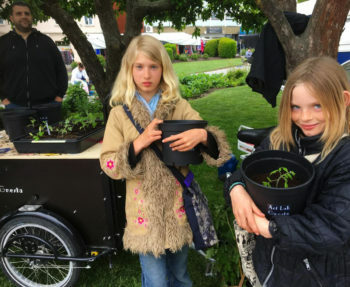 The seeds have migrated from Syria to Sweden, and now we work to habituate the different varieties so that they might thrive and flourish in Gnesta’s climate. 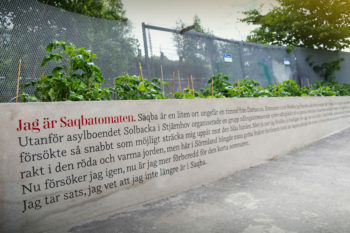 During 2017 the Saqba-Tomatoes has moved into allotments, schoolyards and gardens around Gnesta. 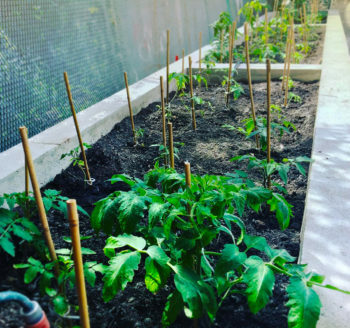 This has been made possible due to collaborations with school classes, officials, an interested public and syrian amateur- and professional gardeners living in Gnesta. Together we are trying to make way for this new tomato plant! 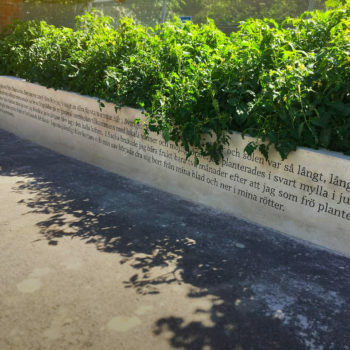 Our goal is to eventually be able to name and put a new plant variety into our Swedish seed bank and cultivation history: Sörmlandian Saqba tomato. Do you want to become a tomato host? 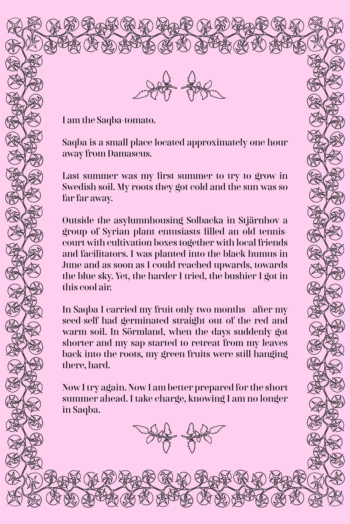 We have established a seed bank and are currently looking for more people who want to make way for the Sörmlandian Saqba tomato in their home, garden, at their workplace or somewhere else. 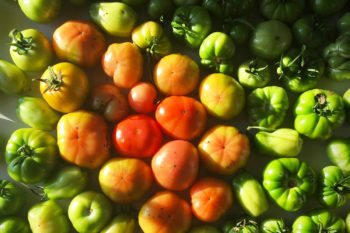 Do you want to become a tomato host? 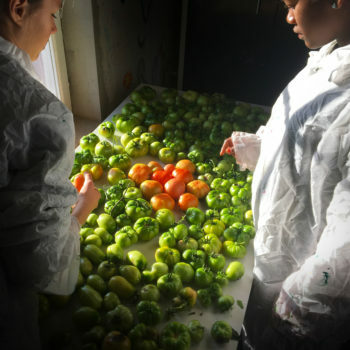 Contact us at info@artlabgnesta.se and we will send you tomato seeds and instructions!